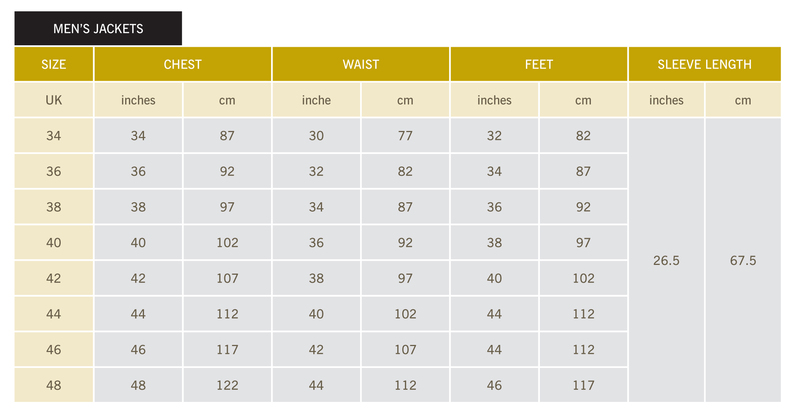 All our ‘off the peg’ garments are based on the following sizes. As a good fit is vital to the way your garment looks and feels it is advisable to take actual body measurements, rather than measuring over existing clothes. Due to the nature of the different fabrics used there may be slight differences in sizes, please check individual garment descriptions for possible size variations.